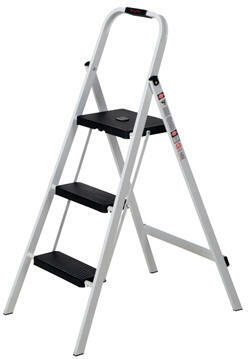 These durable, lightweight, multipurpose ladders are perfect for homes, offices, schools, and industrial warehouses. Folds up to a 3" profile for convenient storage in closets and other tight spaces. 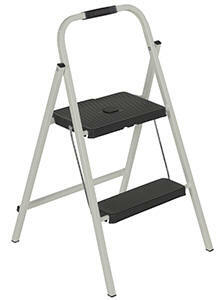 Extra wide anti-slip step heights are 9", 18", and 27". A locking safety latch ensures a user's safety when climbing. Steel construction. Baked in powder coat finish for added toughness.